On January 21 and 22, DEUTZ will be attending the 16th International Conference on Renewable Mobility in Berlin, reprising its role as silver sponsor and underlining its commitment to the development of carbon-neutral drive systems. As well as pressing ahead with the electrification of its engine range under the E-DEUTZ strategy, DEUTZ is working hard to make its products compatible with a choice of sustainable fuels that can be used in its products. Adapting the traditional combustion engine so it can use hydrogen, which is a sustainable source of energy, is another highly promising area of research at DEUTZ. With the help of DEUTZ, Munich-based start-up Keyou developed a conversion kit that can turn a conventional combustion engine into a drive based on state-of-the-art hydrogen technology. 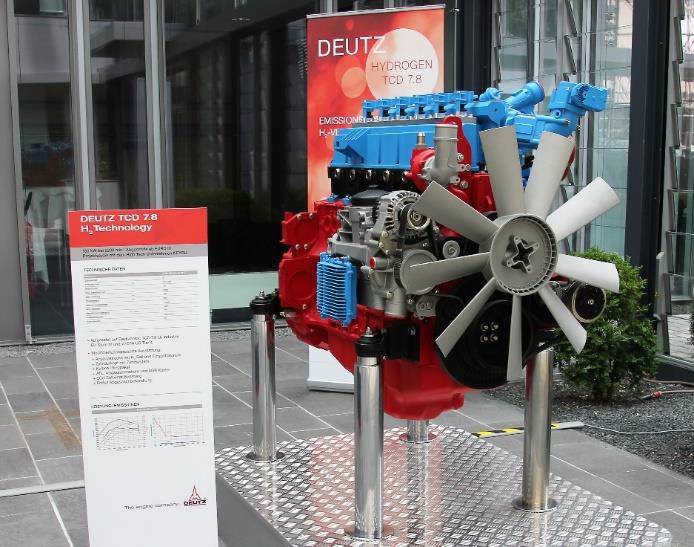 DEUTZ lent its support as a development partner, supplying one of its standard 6-cylinder diesel engines with 7.8 liter capacity (DEUTZ TCD 7.8). The prototype was unveiled in late 2018 at the bauma China trade fair in Shanghai.